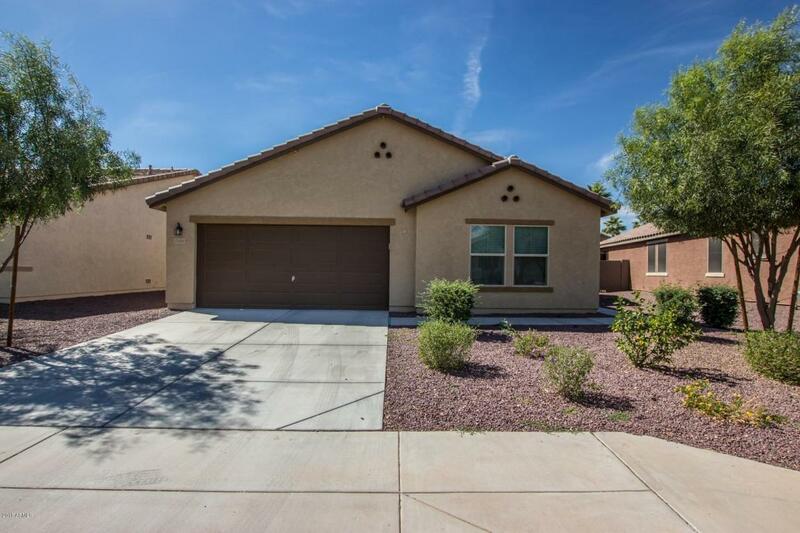 Fantastic single level Home with great curb appeal and move-in ready. 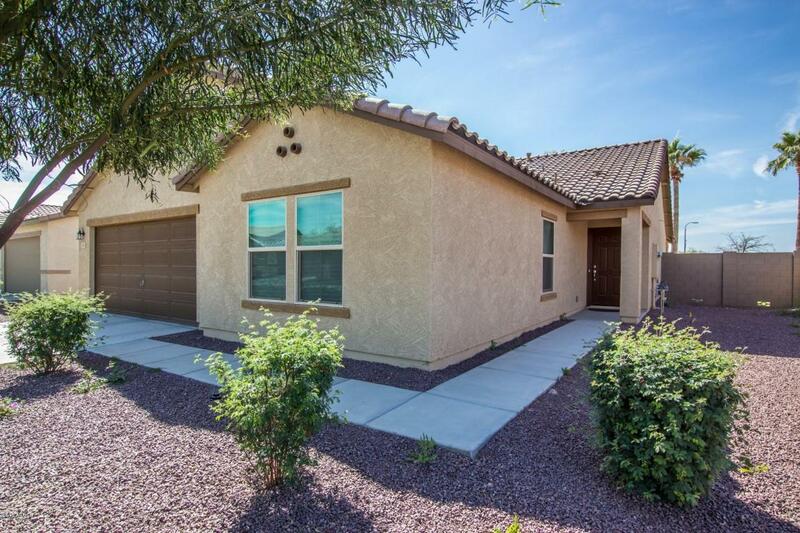 Soothing palette, plush carpet, large windows, pre-wired for ceiling fans, and open floor plan. Breakfast bar, stylish kitchen counters, black appliances, pantry, and plethora of wood cabinetry. Perfect Home for entertaining. 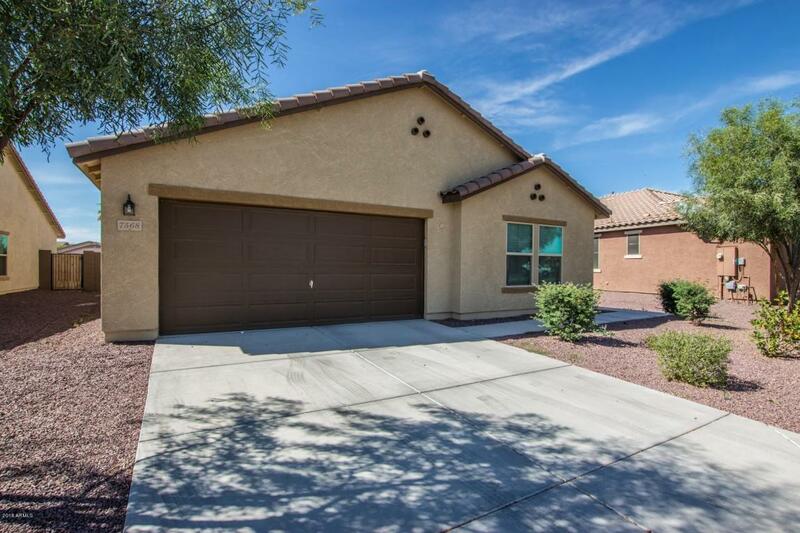 Generous size bedrooms, ample closets, window shades, and 2 baths. 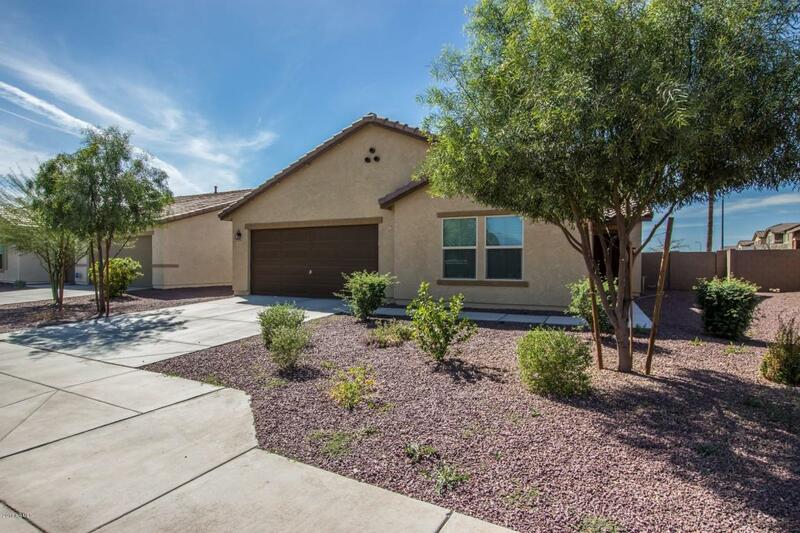 The large backyard with covered patio is a blank canvas for your future desert oasis. Built in 2015 original owners moving out of state.